USDA’s release of the World Agricultural Supply and Demand Estimates (WASDE) report in February had mostly good news for U.S. dairy producers. On the input side, feed costs are expected to climb only slightly in 2019 when compared to the previous year. If realized, feed costs would climb due to higher corn prices, which would be offset by a lower soybean price. On the other side of the equation, the U.S. All-Milk price midpoint is projected to be $17.25 per hundredweight (cwt. ), up $1.05 from 2018’s price level. If the 2019 All-Milk price is realized, it would be the eighth highest in history. The improvement in milk prices offsets the slight increase in feed costs to push income over feed costs for dairy producers to the highest level since 2017 when income over feed costs averaged $10.35. The general market, as represented by the Chicago Mercantile Exchange (CME) futures prices, is slightly lower than USDA’s estimate when it comes to dairy producer profitability, with feed prices in 2019 that are higher relative to milk prices. On the high side. Using USDA’s marketing year midpoint projections for corn and soybeans, plus my rough estimate for alfalfa hay, the 2019 feed costs are projected to be $7.99 per cwt. 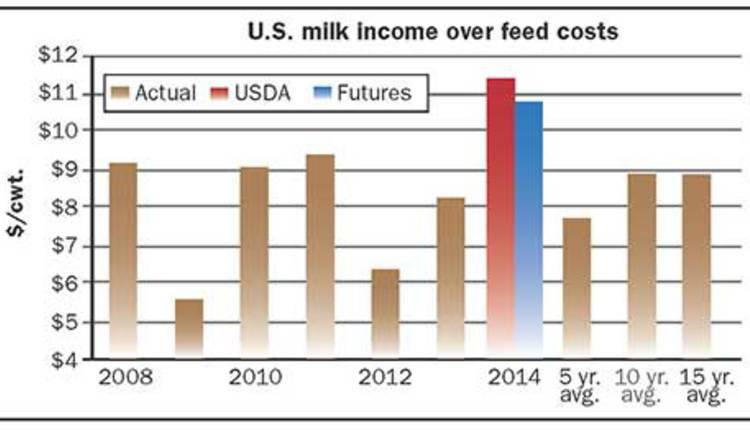 When USDA’s feed costs are combined with their calendar year All-Milk midpoint price projection of $17.25, income over feed comes in at $9.26 per cwt. That is 93 cents above 2018’s estimated level of $8.33, but $1.09 lower than the 2013 to 2017 five-year average of $10.26 per cwt. On the low side. Looking at another source for prices, the CME futures market, the result is very similar. Using the February 15 futures settling prices for corn and soybeans, plus my rough estimate for alfalfa hay, the 2019 feed costs are projected to be $8.32 per cwt. When USDA’s $2.20 per cwt. difference between their 2019 All-Milk and Class III milk price estimates are added to the February 15 CME Class III milk price settling futures prices of $15.31, the resulting All-Milk price projection is $17.51. The resulting CME futures price based on income over feed comes in at $9.19 per cwt. That is $0.86 per cwt. above 2018’s estimated level, but $1.15 lower than the 2013 to 2017 five-year average of $10.26 per cwt. 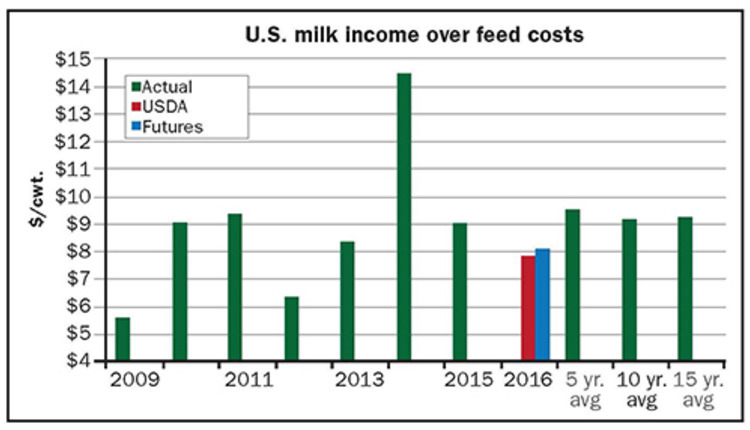 With U.S. milk income over feed costs estimated to be below average but above the level needed to keep milk production growing, gains in milk production can be expected to be near the long-term average. That is exactly what USDA is predicting with their projected milk production estimate of 220.1 billion pounds, a gain of 1.2 percent over 2018’s estimated milk production level. The five-year average gain in milk production is 1.5 percent. The gain in milk production will probably be more heavily weighted toward the last half of 2018, as opposed to the first half. This will be due to the lagging response in milk production to higher dairy farm profitability. As profitability improves, culling of milk cows will slow, resulting in more growth in milk per cow or possibly an expansion of dairy herds. Feed quality and quantity for dairy cows may also slow until the 2019 harvest is complete. For dairy producers in areas of the country that have a large percentage of their milk utilized in cheese manufacturing, the news might not be as good as it is for dairy producers in area of the country with higher Class I, II, and IV utilizations. If the estimated spread of $2.20 per cwt. between USDA’s estimated Class III milk price and the All-Milk Price mentioned earlier in the article is realized, it would be the second-largest spread since Federal Order Reform was implemented in January 2000. The largest spread of $2.57 per cwt. between the Class III milk price and the All-Milk price occurred in 2000 when the Class III milk price averaged $9.74 per cwt. and the All-Milk price averaged $12.31 per cwt. In 2019, USDA is estimating a Class III milk price of $15.05 per cwt. and an All-Milk price of $17.25 per cwt. With more milk utilized in the relatively lower-valued cheese manufacture, the pay price to dairy producers in the heavier cheese manufacturing areas of the country will also be lower relative to other dairy producers. In 2000, the driving factor for the wide spread was relatively strong prices for butter and nonfat dry milk (NFDM) that pushed the new at that time Class IV milk price to an average of $11.83 per cwt., $2.09 per cwt. above the Class III milk price. The Cheddar cheese price used by dairy programs to calculate the Class III milk price that year averaged $1.1418 per pound, while the dry whey price averaged 18.63 cents per pound, resulting in the sub-$10 Class III milk price. Butter prices used by dairy programs, on the other hand, averaged $1.1408 per pound and the NFDM price averaged $1.0115 per pound to push the Class IV milk price close to $12 per cwt. Like in 2000, the wide spread between the Class III milk price and the All-Milk price is driven by a relatively weak Cheddar cheese price. USDA forecasts for 2019 show mostly higher dairy commodity prices than in 2000, with NFDM the only dairy commodity below the level established in 2000. Butter prices used by dairy programs are forecasted to average $2.28 per pound in 2019, and the NFDM price projection shows an average of 95 cents per pound, to push the Class IV milk price close to $15.95 per cwt. The Cheddar cheese price forecast from USDA for 2019 is expected to average $1.5150 per pound, while the dry whey price has a projected average of 45 cents per pound, resulting in a Class III milk price estimate of $15.50 per cwt. The only other year that the Class III-IV milk price spread was over $2 per cwt. was in 2013 at $2.06 per cwt. 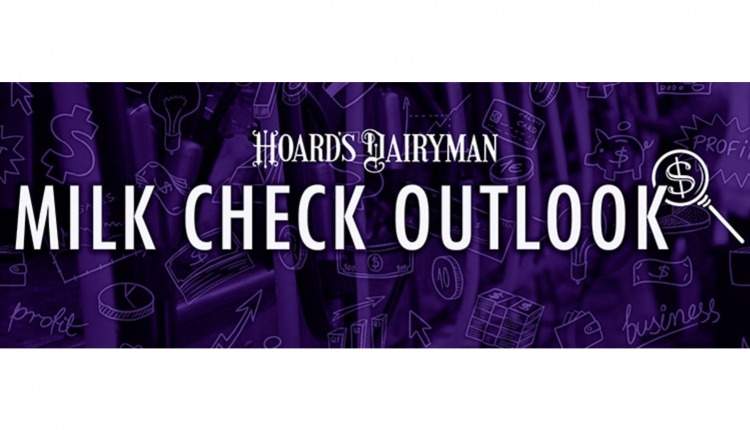 In general, the 2019 outlook for dairy producers is expected to be moving in the right direction, but the economic gains will be uneven across the country with dairy producers in heavy cheese manufacturing areas lagging a bit versus other dairy producers in the country. 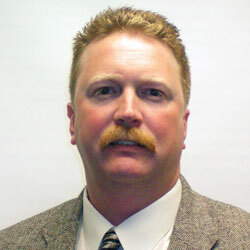 Profitability is not expected to be drastically above or below the level to maintain or grow milk production in any one month, but it does look like a year that could help some dairy producers’ balance sheets.